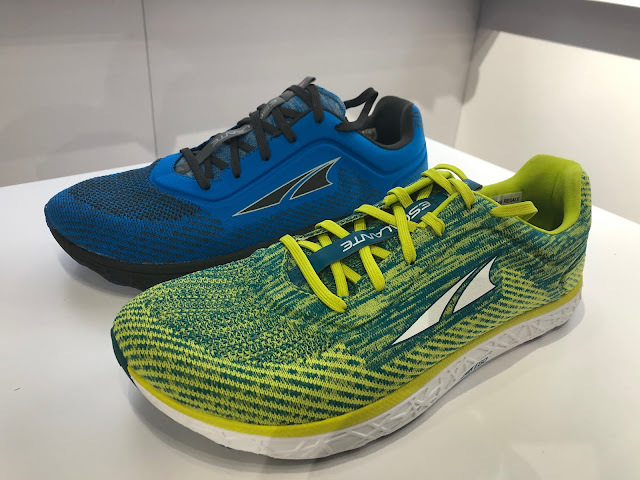 Altra as always presented in detail and in depth at The Running Event. The season's preview was presented by Brian Beckstead, Altra co-founder and Chief Marketing Officer. 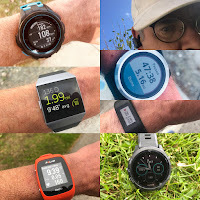 The wild Vanish-XC was one of the stars of The Running Event. A beautifully simple concept, the Vanish is designed for cross country racing, trail running for minimal fans, and I venture to say it should be a great 5K road shoe for me. And it is not to be underestimated on the trail for some anyways... Altra elite Zach Bitter just set the world 100 mile trail record in 12:08:35 in a pair! The Vanish features a unique lacing system. 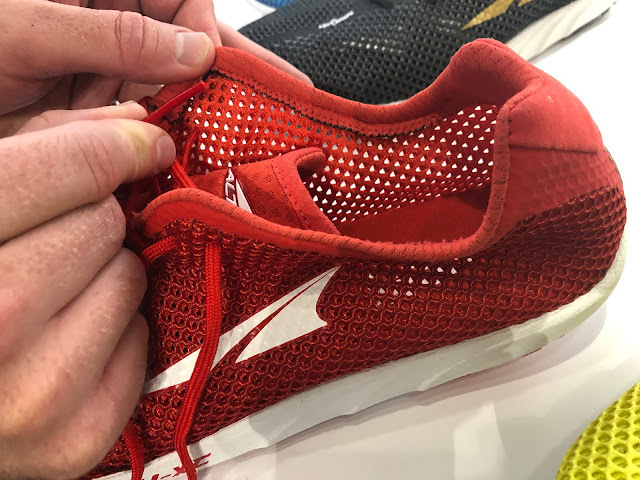 Lace anywhere through the upper for a custom fit. The front outsole is a single plate which provides traction but also gives the shoe flex snap at toe off and in Brian's demo it sure was snappy! The traction includes lugs but also protruding four "spikes" of the same material as the rest of the outsole. The King MT 2 has the same 19 mm stack as 1.5 but weight drops from 10.6 oz in our test samples of 1.5 to a catalog weight of 8.7 oz. Available May 2019. 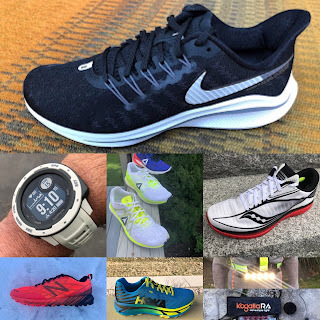 The King MT was one of the most fun and versatile trail shoes, especially in rough and sloppy conditions we ran last year (RTR review). 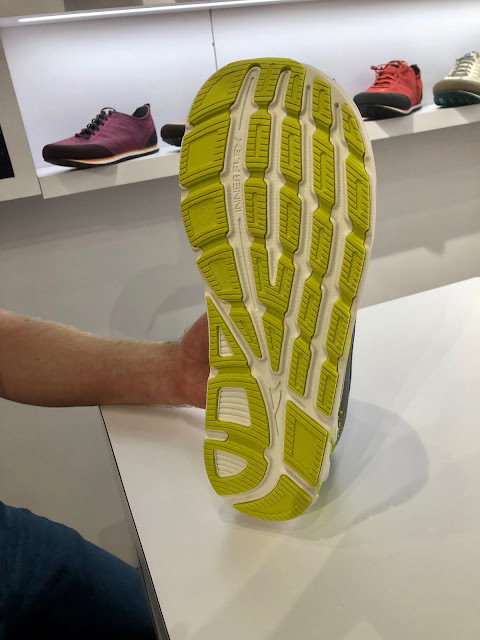 However, it was very heavy at 10.6 oz in our samples at size 9 due in large part to its extensive, thick and excellent Vibram MegaGrip outsole. 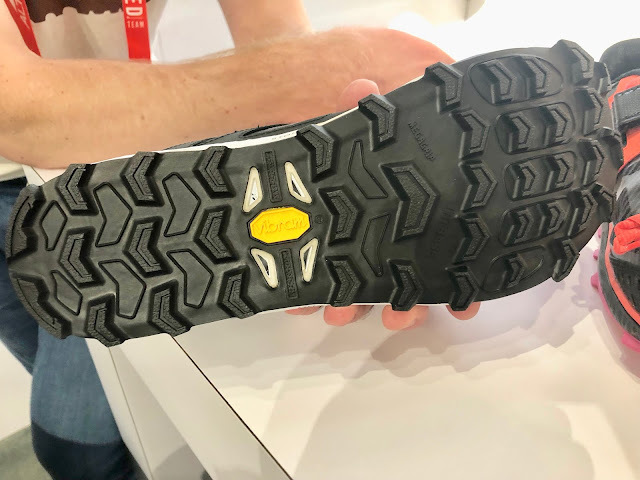 For 2019 the King MT gets a new Vibram Lite Base MegaGrip outsole. 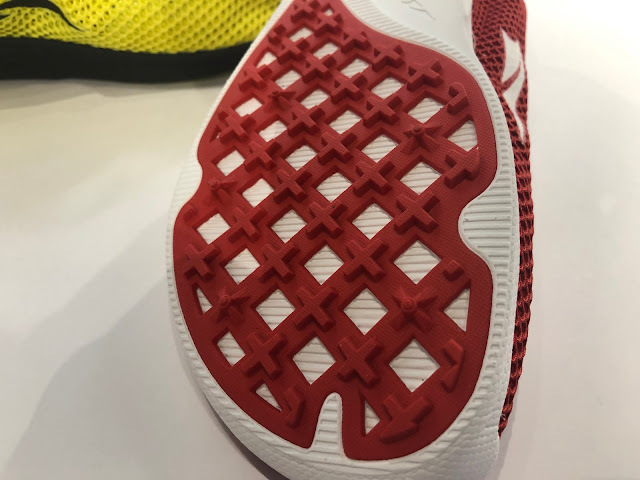 The outsole also features 4 mid foot drain holes, a unique feature from Vibram for Altra. 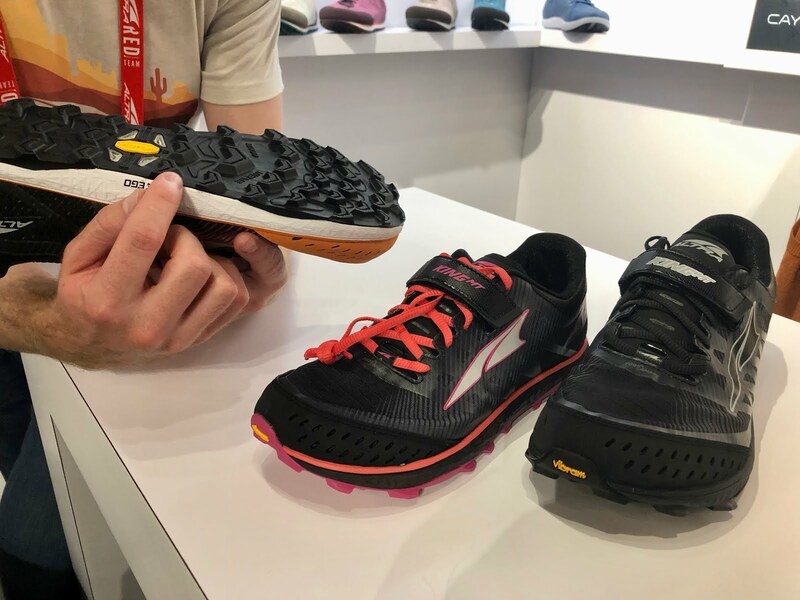 By reducing the full coverage outsole plate on which the lugs sit by 2mm, and increasing the EGO midsole stack 2mm and making it softer, we should see a considerably lighter, more flexible and cushioned shoe. 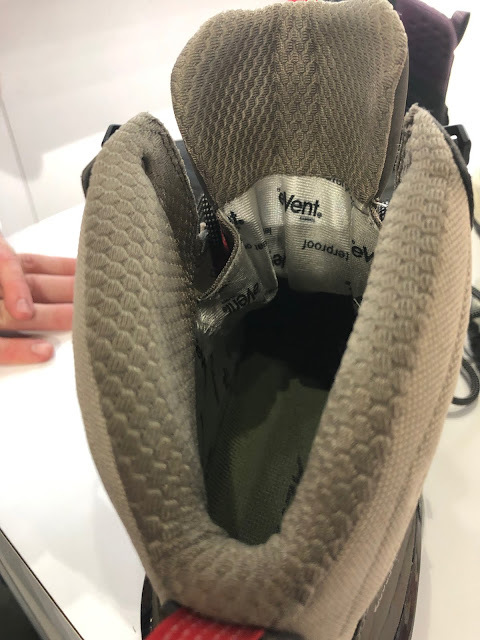 We are confirming the quoted 8.7 oz weight (which may not include sock liner or production height lugs) as it is a huge drop from our King MT's 10.6 oz size 9 tested samples. The lugs shown in the photos are not the full 6mm production height. 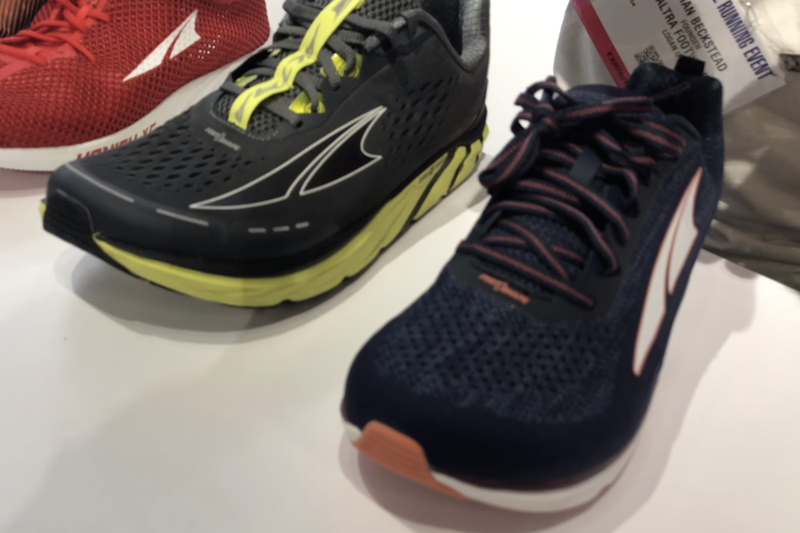 Regardless there is no question King MT 2 will a lighter, faster and livelier shoe yet. The Velcro support strap moves slightly higher. 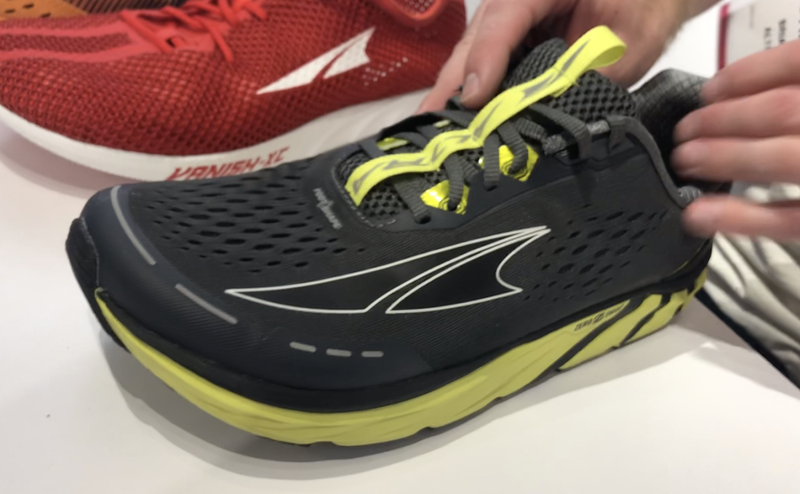 The mesh upper has translucent overlays. 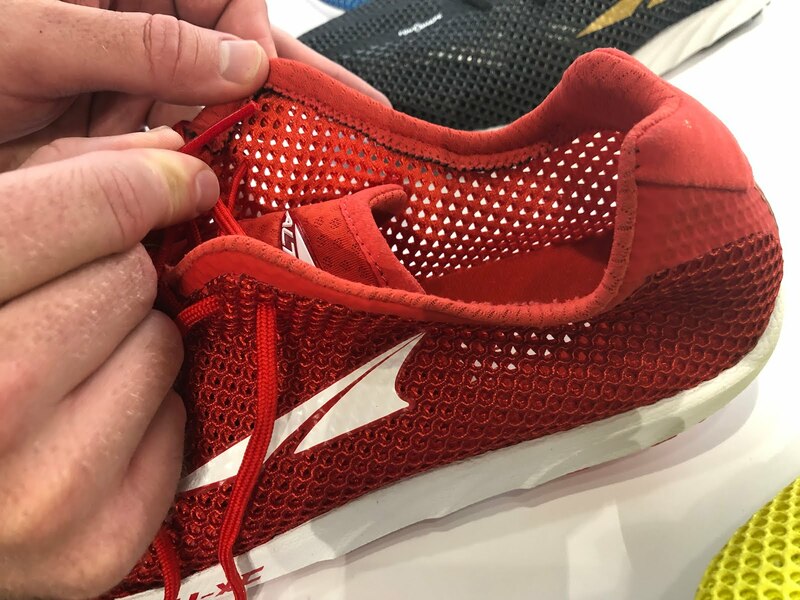 The toe box bumper has drain holes. The Torin splits into two models: the speed oriented Torin 4..
..and the comfort oriented Torin 4 Plush. 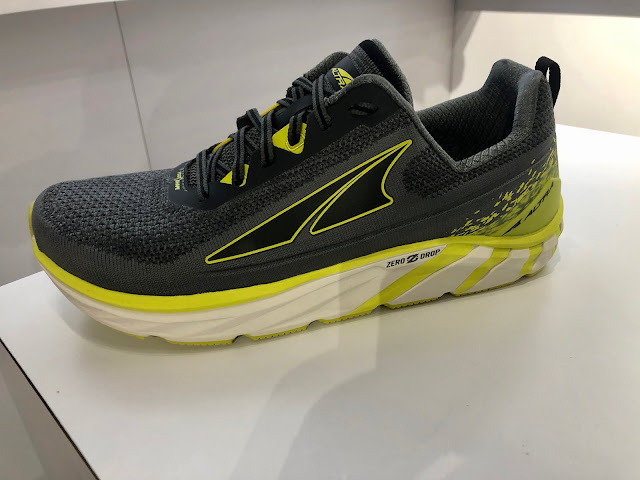 The Torin 4 has a very breathable engineered mesh upper and removes the Strobel board under the sockliner. As such it will have a 2mm lower stack and be slightly firmer and more responsive. The Plush has a knit upper, a more premium TPU sockliner, and the Strobel board. Both Torin get a new Quantic midsole, said to be softer and more responsive than the prior midsole. The Quantic midsole is shared with the Superior 4 (RTR review soon). 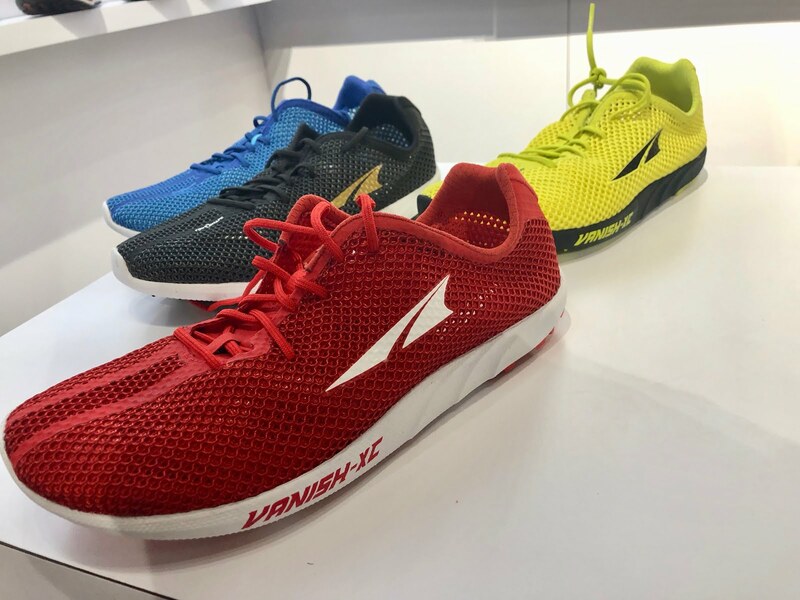 The outsole is redesigned with a wider heel base for additional stability and new flex grooves enhancing transitions through their decoupling. 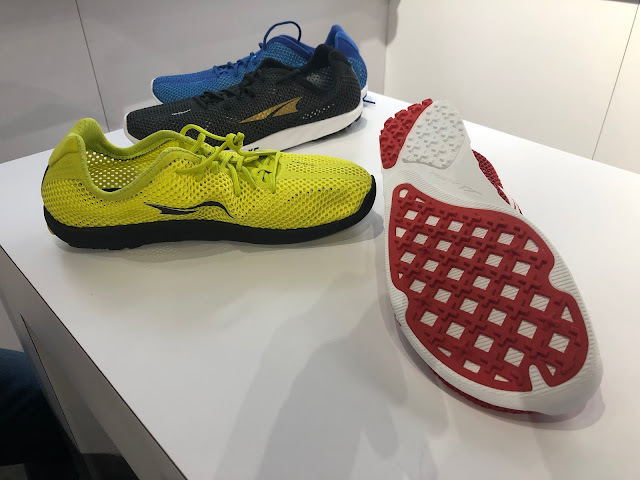 The Escalante 2 gets a new knit upper which should provide more side to side support and through perforations good breathability. The rear knit is de-bossed meaning it is denser to provide more support in those areas. So we can for sure expect this new version to be more supportive than the 1.5 (RTR review) which already improved on version 1 in that area. 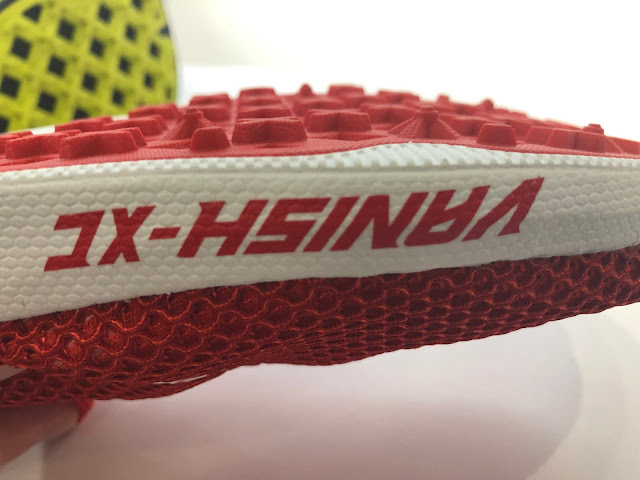 The outsole is similar to its predecessor but has more continuous connections between rubber sections to increase durability. In comparing to 1.5 these more continuous sections are concentrated near the toe. 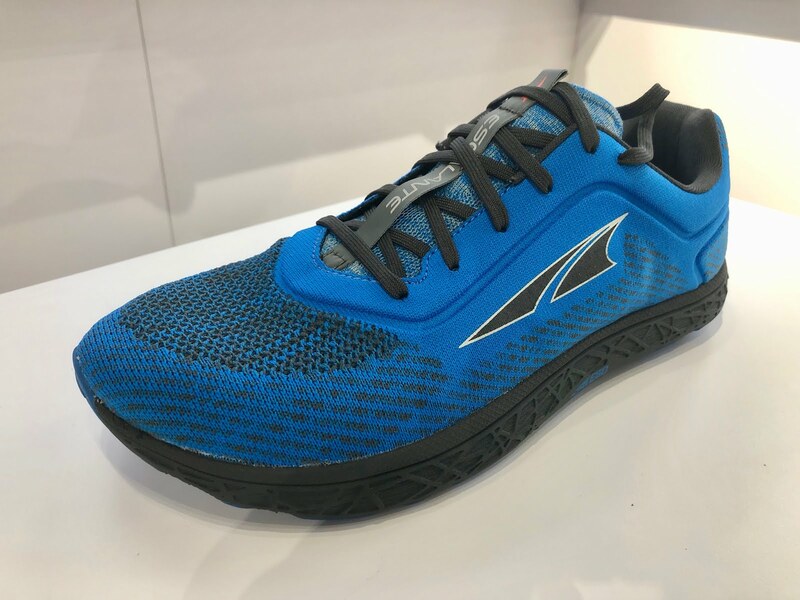 Flexibility was enhanced by increasing the decoupling of the Altra EGO midsole and outsole. Stack stays the same at 24mm. The Escalante gains a bit less than an ounce based on catalog weights. 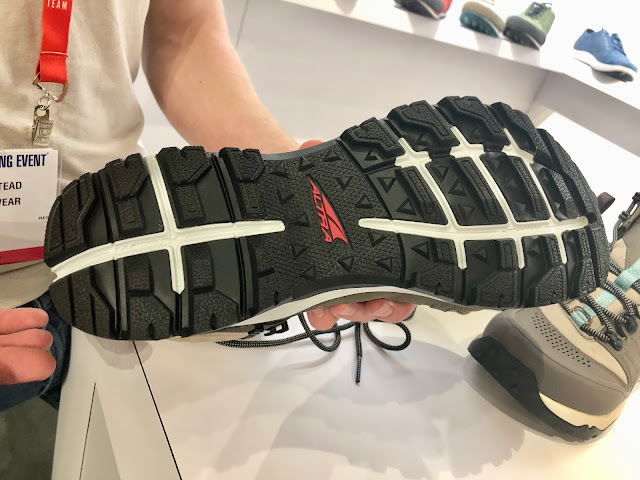 We should expect the same Escalante comfort and ride now tamed for better support increasing the versatility of the shoe. 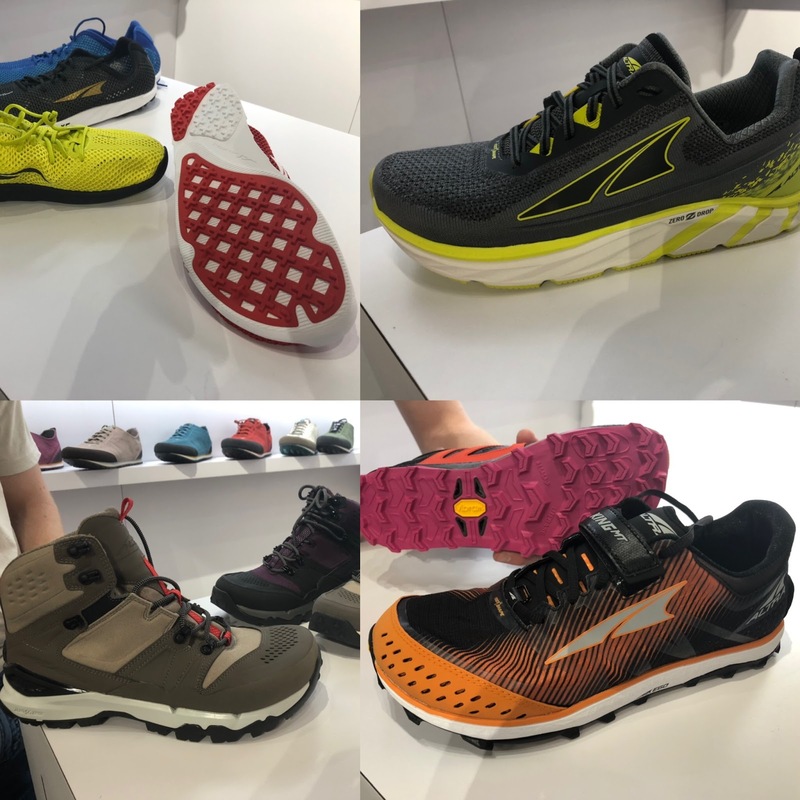 Altra was very excited about their expansion into the Outdoor Adventure category with their first hiking boot, the Tushar-named after a rugged range in their home state of Utah; as well as two approach shoes The Grafton and Wahweap described below. The Tushar features Altra Foot Shaped toe box, super welcome on long hikes. Altra's Lone Peak is the most popular shoe for long hikes such as the Appalachian Trail and Pacific Coast Trail but not exactly ideal in rougher terrain and with heavy packs for some. 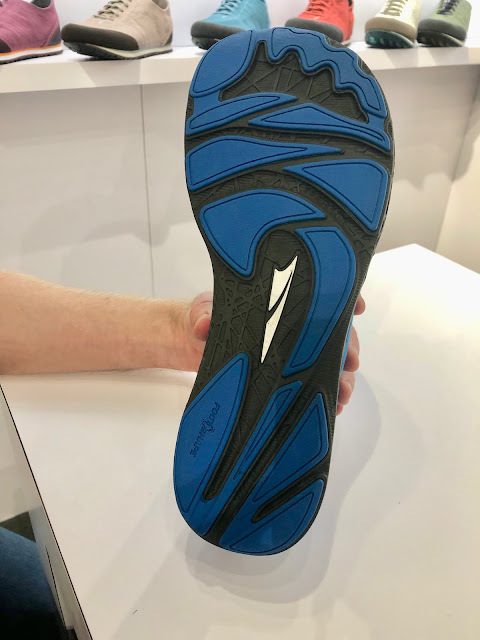 The Tushar has more flexible heel area than most hiking boots with a deep lace lock and uses Guide Rail as in the Paradigm to help stabilize without over directing the foot. The midsole is made of PU which is a more compression resistant. long lasting, softer material than the usual sheet or compression molded EVA found in hikers. It should provide a comfortable ride on those long hikes and over time. The upper is a ballistic nylon. The Tushar has a waterproof breathable Event membrane. 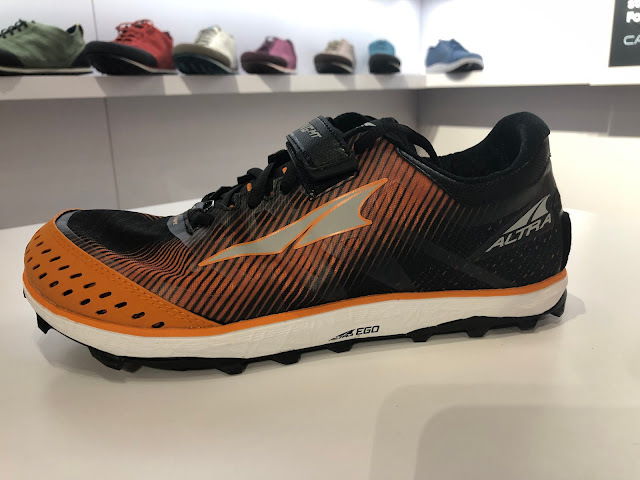 The outsole is Altra DuraTread and unusually for a hiker is decoupled and works in conjunction with the InnerFlex grooves. The boot is clearly more flexible than a typical big hiker but plenty protective and supportive from what we could see. 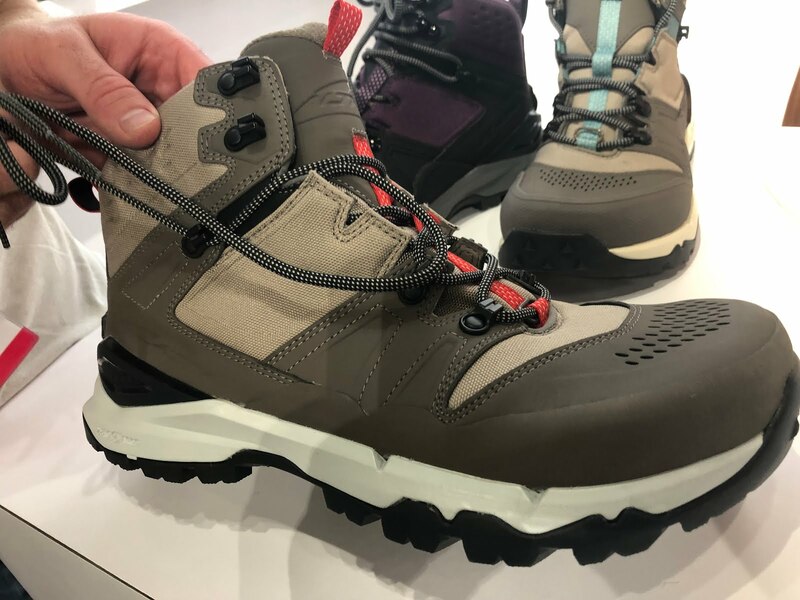 The Tushar appears to be an ideal boot for my home White Mountains where endless rocks and slippery roots require protection and support, grip, but also agility. 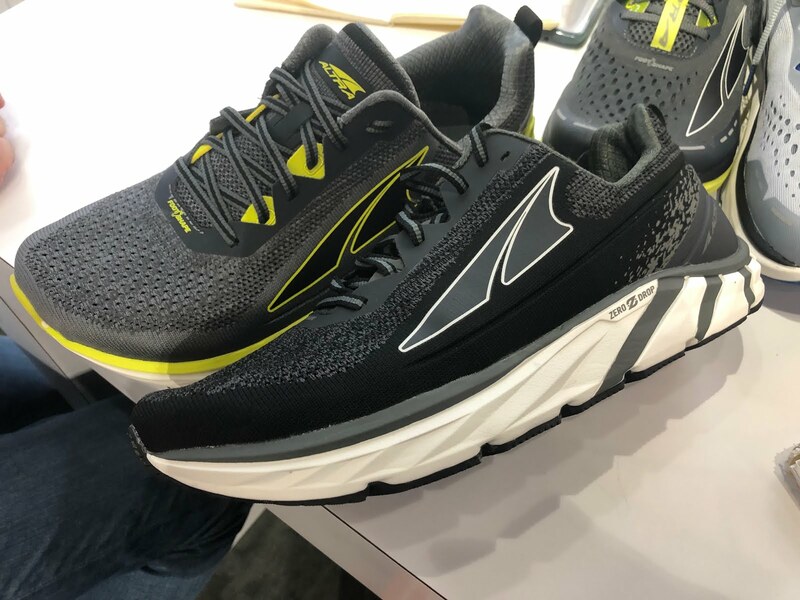 The Grafton represents Altra's entry into the rugged approach/canyoneering shoe category. It can scramble and also go casual with its mix of canvas, suede leather, and climbing style toe cap. 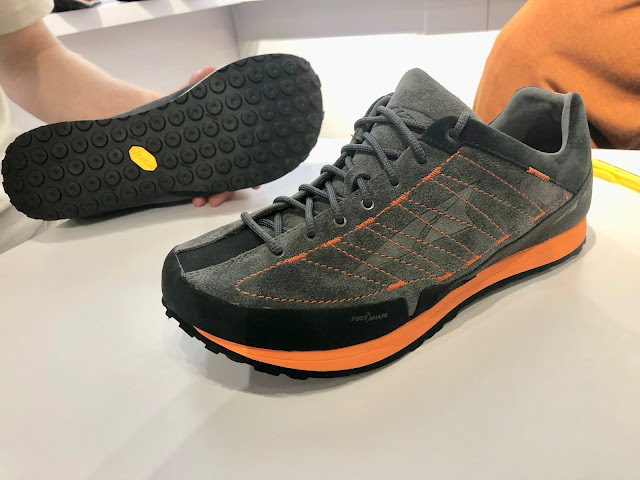 It has a Vibram MegaCrip outsole. The Whaweap is the Grafton's somewhat more casual sibling. 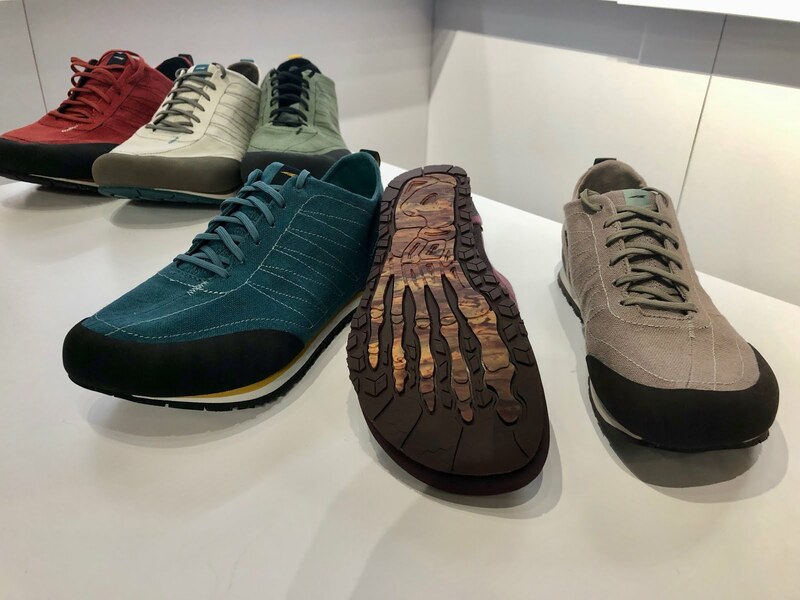 It has a 75% hemp functional and sustainable upper, a cool looking sticky rubber outsole with sipes (small cuts) for multi surface traction versatility and a rubber climbing style toe cap. Agree - why would they go in the wrong direction on the escalante? 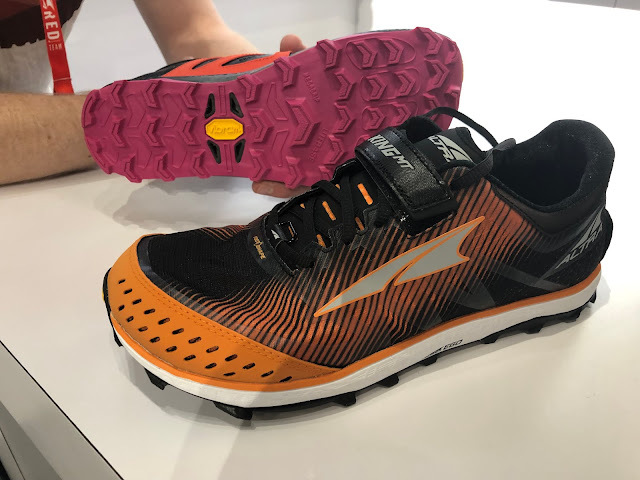 The racer is lighter and provides more upper support. Please don't ruin the shoe. After the Racer came out, I stopped running in the regular Escalante altogether. I hope they don't ruin the Racer too!